Researchers for the first time have grown functioning human thymus tissue from stem cells in the laboratory. The tissue, grown in mice, may someday offer new treatment options for human patients with type-1 diabetes, as well as other autoimmune and immunodeficiency diseases. The functioning thymus cells were grown from stem cells using a unique combination of growth factors, according to the study published today in the online edition of the journal Cell Stem Cell. Functioning thymus tissue nurtures the growth and development of white blood cells called T cells. These cells play an important role in the central immune system by responding to pathogens and eliminating them, as well as preventing the immune system from attacking the body's own cells. The thymus, a small gland at the top of the chest beneath the breastbone, is an important organ. When it fails, people commonly die from infection. 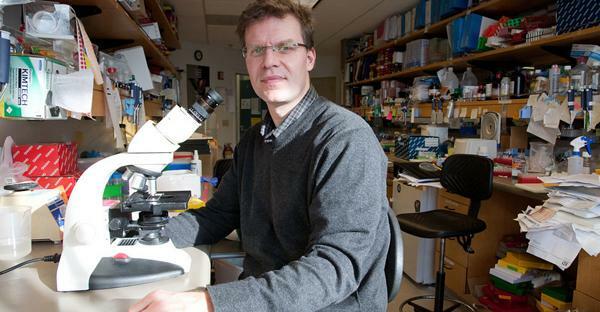 The research performed by scientists from University of California, San Francisco (UCSF), led by immunologist Mark Anderson and stem-cell researcher and director of the UCSF Diabetes Center Matthias Hebrok, represents an important step in stem cell and organ transplantation. Because of the invasive and experimental nature of stem cell therapy, the first people to benefit from thymus tissue transplantation are likely to be those with fatal diseases for which there is no other cure, Anderson said. For example, babies with DeGeorge's syndrome, born without a thymus and certain to die in infancy, stand to benefit from transplanted thymus tissue. Tissue transplantation is another potential area of impact offered by the new research. A common problem for tissue transplantation is that the immune system rejects the transplantation, identifying it as nonself, Anderson said. A possible solution involves taking stem cells down two developmental pathways simultaneously. Stem cells could be trained to form thymus tissue and a replacement organ at the same time, allowing the transplant to overcome the rejection barrier without the use of a harmful immunosuppressant, Anderson said. "The thymus is an environment in which T cells mature, and where they also are instructed on the difference between self and non-self," he said. In other words, thymus tissue preps T cells to attack invading substances, and eliminates T cells that would attack the body's own cells. Thymus tissue might someday be used to retrain the body's immune system for patients with autoimmune disease, including type-1 diabetes, by enhancing the immune system's recognition of self and nonself. Researchers have discovered many of the proteins and growth factors that must be switched on in order to produce functioning human thymus tissue. Specific marker proteins emerge sequentially as cells progress along certain developmental pathways as they form organs. The marker proteins act as milestones that have helped to orient stem cell researchers. Hebrok, who has spent years trying to develop insulin-secreting beta cells destroyed during diabetes, likens the quest for organ-specific cells to an adventurous road-trip. Although the pancreas and the thymus branch off from the gastrointestinal tract at different places, they share certain developmental markers, he said. To get the thymus cells to develop properly, researchers tried dozens of protocols. "If we used one factor for a day longer or shorter it would not work," Hebrok said. With the milestones misplaced, "It would be like driving down the highway and missing your exit." The work is not perfect, Hebrok said. Only about 15 percent of their stem cells become thymus cells, as intended. But the researchers believe there is cause for optimism. "We now have developed a tool that allows us to modulate the immune system in a manner that we never had before," Anderson said. Other scientists who worked on the project include UCSF Diabetes Center postdoctoral fellows Audrey Parent, Ph.D. and Holger Russ, Ph.D., and graduate students Imran Khan, Taylor LaFlam, and Todd Metzger. The research was funded by the California Institute for Regenerative Medicine and the National Institutes of Health. Hebrok and Anderson have founded a company, ThyGen Inc., to continue work on the project. Source: Audrey Parent, et al. Generation of Functional Thymic Epithelium from Human Embryonic Stem Cells that Supports Host T Cell Development. Cell Stem Cell. 2013.